Hi Everyone, and welcome to the last day of Meet The Authors August. I hope you had an amazing time virtually meeting these five authors. I'm sorry this month couldn't be bigger, but I'm overloaded with coursework and this was the most I had the time to put together. I'm already hard at work on the September Feature and hopefully you'll love that just as much, if not more than August. 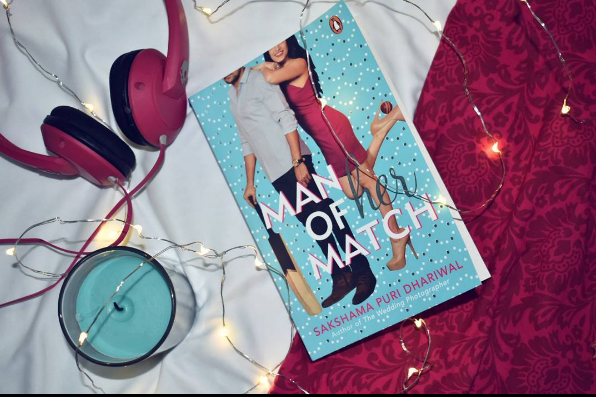 Without further ado, please welcome the LOVELY Sakshama Puri Dhariwal, author of Man of Her Match, a romantic comedy about two childhood best friends turned enemies set in India with the most palpable chemistry I've felt floating off the page in a while. 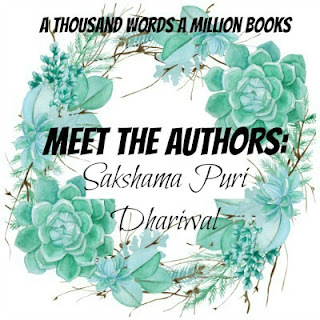 I was so excited when Sakshama agreed to come onto the blog, because I loved her book (you can read my review here) and I hope you love this interview too! 1. If you had to recommend three books to anybody who is a not an Indian to give them some idea of Indian culture, which ones would you recommend? 2. What's the perfect place and weather for you to write in? Do you listen to music while you write? Would it be cliched to say "when it's raining"? I can write anywhere so long as I have a table, a comfortable chair, and minimum distractions. I do listen to music when I write, but it's either something instrumental, like jazz, or I use this fabulous app (told you I love rain)! 3. What are your top two Romantic Comedy movies? Oooh, this is a tough one because there are many, so I'm going to cheat. English: Breakfast at Tiffany's, Two Weeks Notice and Silver Linings Playbook. I also like The First Time, it's a fresh take on teenage love. Foreign: Amelie has a special place in my heart because it's one of the first foreign films I ever saw (last summer I finally made it to Montmartre, Paris to see the cafe and grocery store from the movie *heart eyes emoji*), and I recently watched an adorable film called Populaire. Hindi: DDLJ and Jab We Met, and even though it doesn't classify as a rom-com per se, my all-time favourite: Lamhe. Bad boy cricketer Vikram Walia partners with a newspaper to promote a social cause, only to discover that the brand manager leading the project is his childhood best friend turned arch enemy, Nidhi Marwah. More than a decade has passed since their falling out, so naturally, when Vikram and Nidhi are forced to work together, there's comedy, drama, and lots of chemistry! 5. Who would you cast as Nidhi and Vikram if Man Of Her Match was turned into a movie? I'd love to see Alia Bhatt or Anushka Sharma as Nidhi and Ranbir Kapoor or Shahid Kapoor as Vikram. 6. If you could give one piece of advice to you main characters, what would it be? Speak your mind. Because in fifty years, you'll regret the things you didn't say much more than the ones you did. Blurb Description: Kicked off the team for a series of misdemeanours, Indian cricket’s bad boy Vikram Walia finally has a chance at redemption. The only problem: it involves collaborating with his childhood best friend turned sworn enemy, Nidhi Marwah. worked as a brand manager for e-commerce, media and telecom companies. Her favourite authors include Judith McNaught, Julie James, Sarah MacLean, Lauren Layne, Kate Meader (in chronological order of when she discovered them), and of course, Anuja Chauhan. What are some of your favourite romantic/ comedy books? Do you play sports? If you could spend a day with one sports star, who would it be? 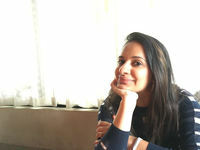 Please also say hi to the lovely Sakshama - I'm sure she'd love to meet you.